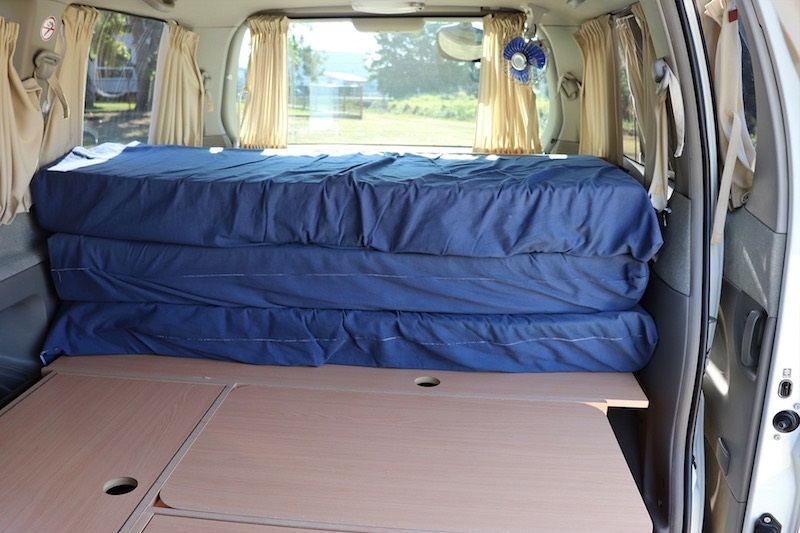 The 2 Person Elgrand Campervan is perfect for a couple or two friends travelling together. 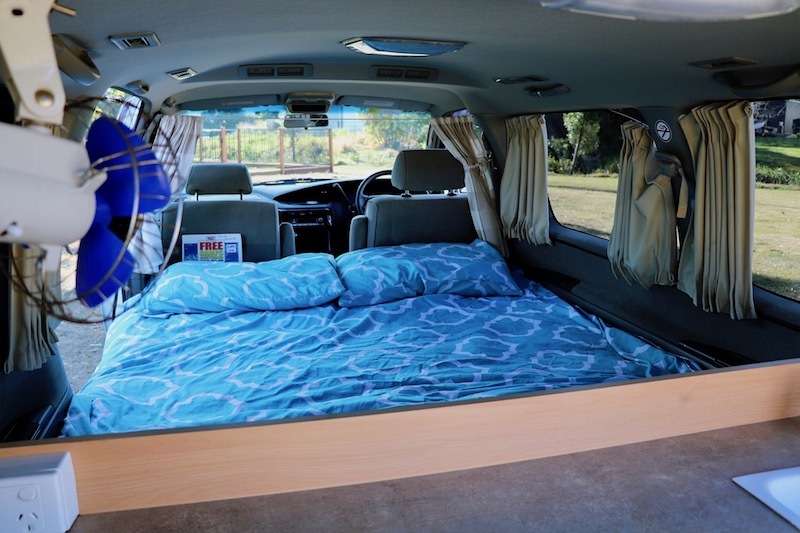 It comes with lots of great features such as an MP3/iPod connections and an array of freebies! 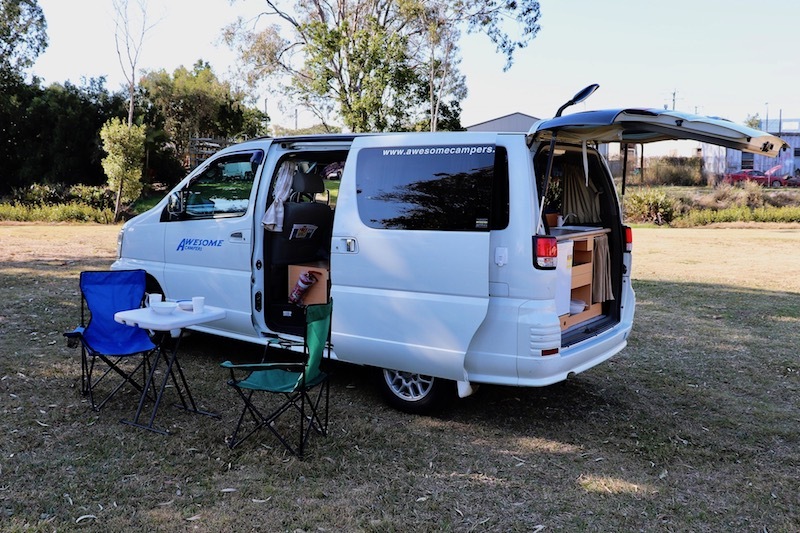 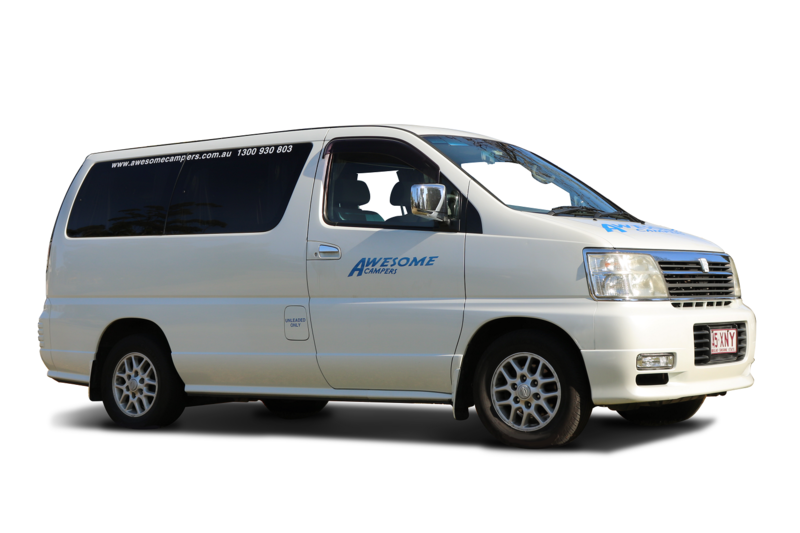 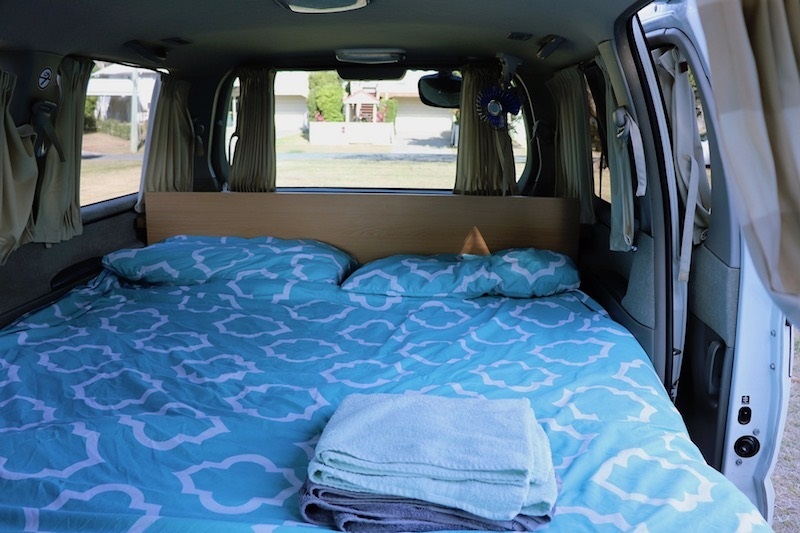 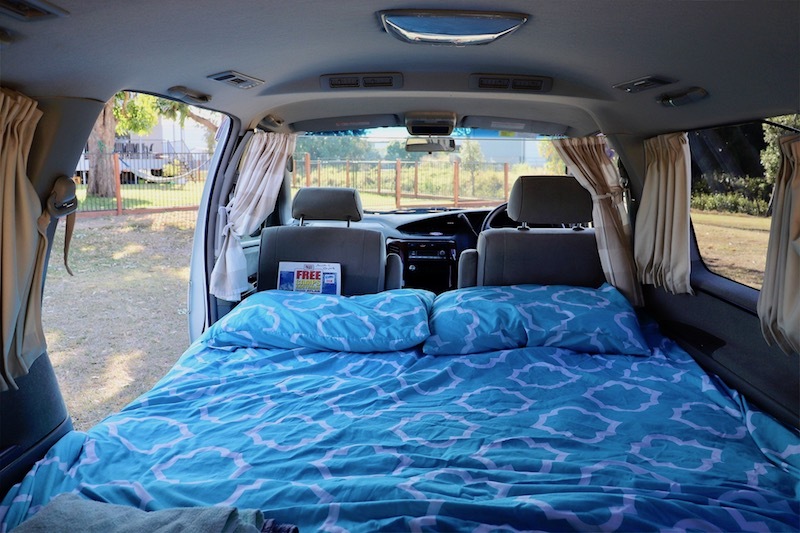 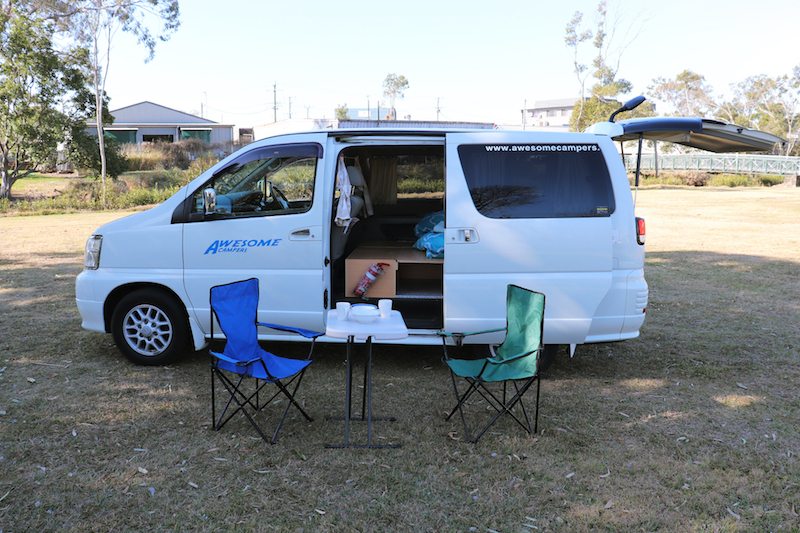 Rates include: Unlimited kilometres, Toll Roads, Linen Package ((including 2 x Towels, 1 sheet, 1 Duvet, 2 pillows and 2 pillow cases), 2 x Outside Chairs, 1 x Outside Table, 24Hours Roadside Assist. 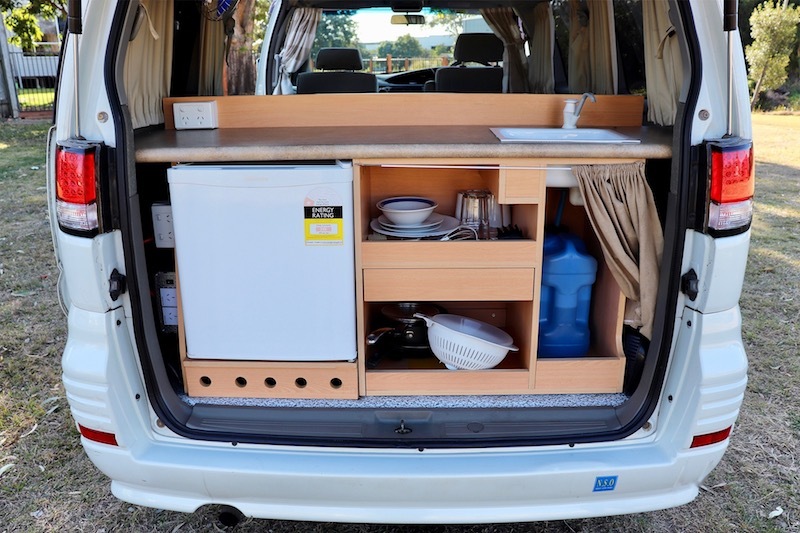 All Kitchen Utensils & Washing up gear, Pots, Pans, Gas Cooker and 1 gas cannister.